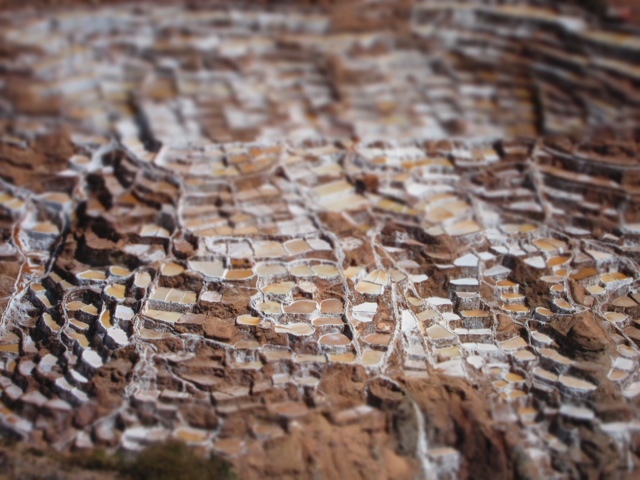 We’re spending about 5 days in El Valle Sagrado, the Sacred Valley – in Ollantaytambo (where we are now) and Pisac. 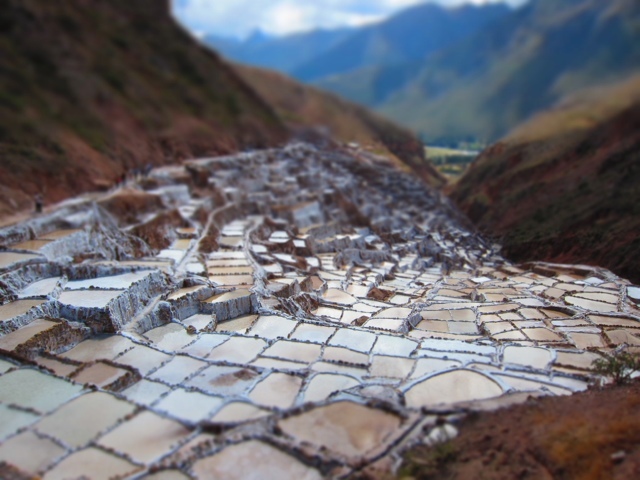 The Sacred Valley is so named for the Río Urumbaba that flows through it; water was sacred and worshipped by the Incas. 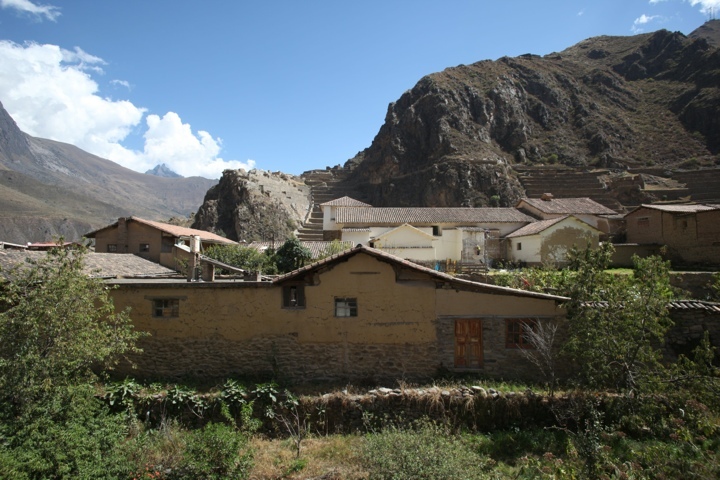 The villages here are much the same as they were in Inca times; Ollantay (the local nickname for Ollantaytambo) is a place of stone: streets, buildings, city walls… everything but the tile rooftops. The streets are narrow and have a channel right down the center where water flows from the river. And there are ruins all around here; this one is right down the way from our hotel and our view from bed (the stone terraces on the mountain behind the buildings)! We gave ourselves a day of rest yesterday because we were really very very sore from the Inca Trail and were walking like crippled elderly people after any period of inactivity, like sitting down to eat – cold muscles didn’t want to work. 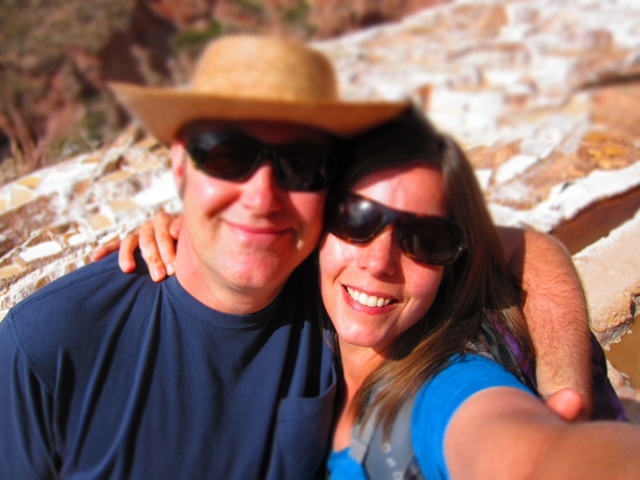 Today I can still feel the 27 miles we hiked, but it’s totally manageable. For instance, I no longer have to spread my arms out like a chicken when using stairs (going down). 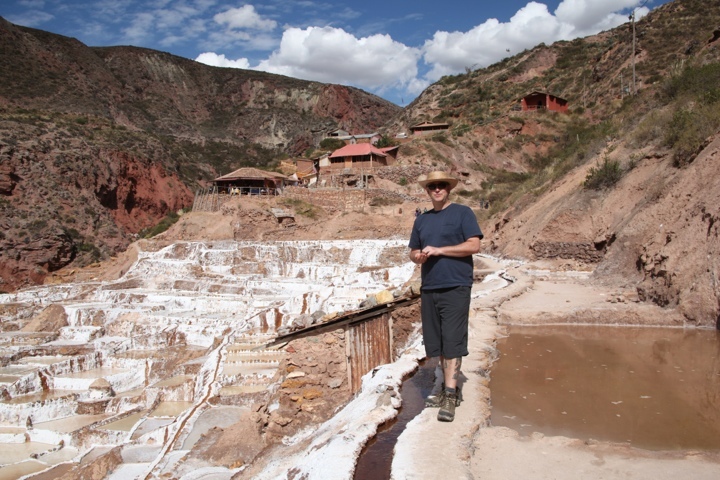 Today we went to Las Salinas de Maras, a short ride from Ollantay by bus + taxi. 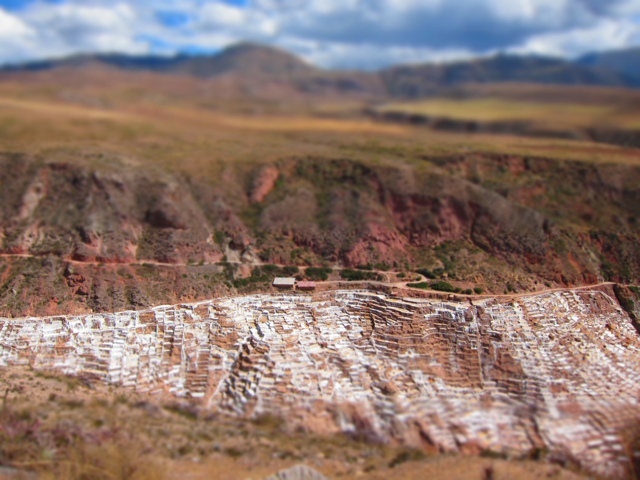 Las Salinas de Maras is a terraced salt mine that’s nestled in a valley and fed by a salt water spring. 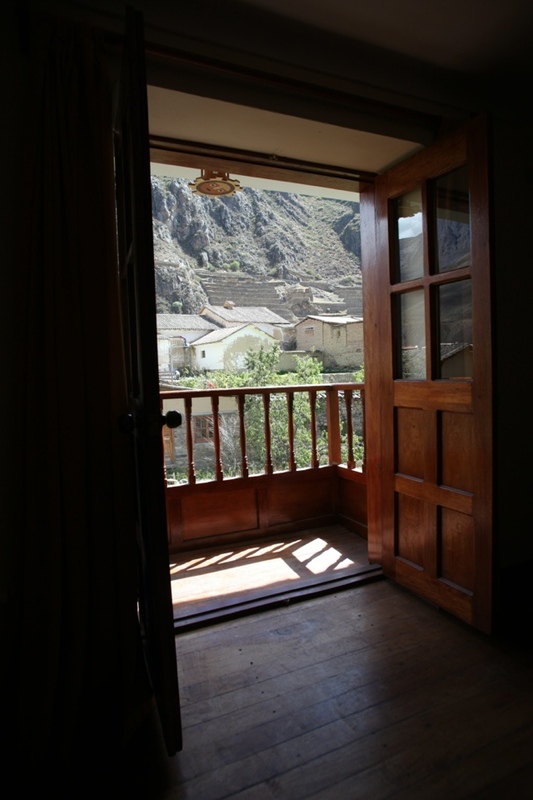 You are currently reading El Valle Sagrado at On the Road.